I am not a fizzy cold drink fan nor am I a fruit juice fan really. I am through and through a water glugger but I am not sure about drinking water in a box (found via dieline). What do you think? Coincidently the evening after seeing these I was shown an article in the local paper with water bottle facts that made me think twice. Did you know that that bottled water is one of the world’s biggest pollution problems? I did not. 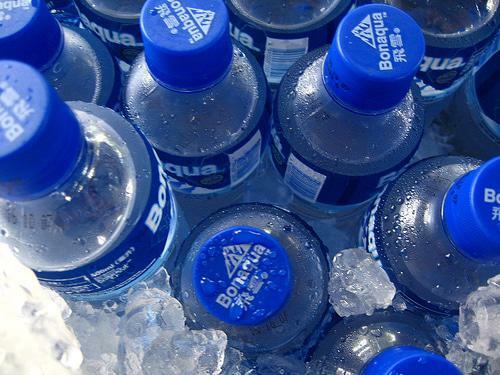 Did you know that 26 billion litres of bottles water were consumed annually around the world? That means that some 28 billion plastic bottles are discarded annually – about 1500 per second. …and if that is not bad enough we used 17 million barrels of oil to make those plastic bottles (an amount which could have kept 100 000 average sized cars on the road for a whole year). I reuse my plastic bottles (not just becuase it is green but also becuase it saves money) but this too is terrible I learnt. See, even if you opt for plain old tap water and keep a plastic bottle of it in your car, the plastic leechesÂ dangerous carcinogenic chemicals into the bottle and you drink poisoned water in your bid to be planet-friendly. Oh dear. 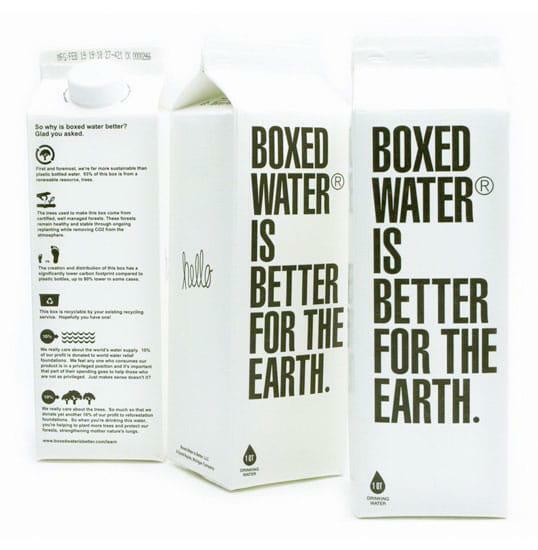 Perhaps boxed water might not be that strange after all. If anything, it has to be better than what we are doing to our world and our bodies by drinking water from plastic bottles. This entry was posted in Blog and tagged boxed water, chemicals, plastic bottle, water facts, water for the earth, water posioning. I heard a report yesterday that gave Cape Town tap water 100% for purity – I suppose the best thing we could do would be to carry around glass bottles of tap water. I agree. UNBREAKABLE glass water bottles would be wonderful.